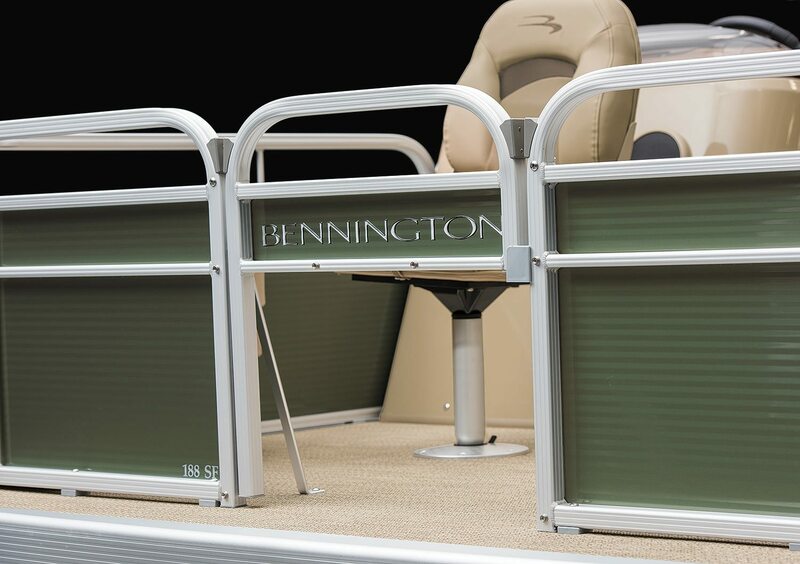 At only 8' wide, Bennington's narrow-beam series are easy to trailer and easily fit in most garages. 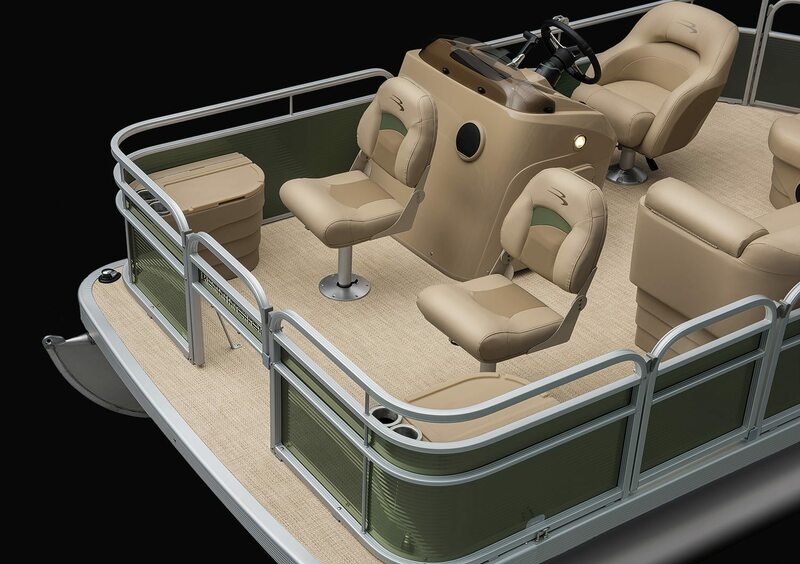 Foldable bass seats are standard with deluxe bass seats optional. 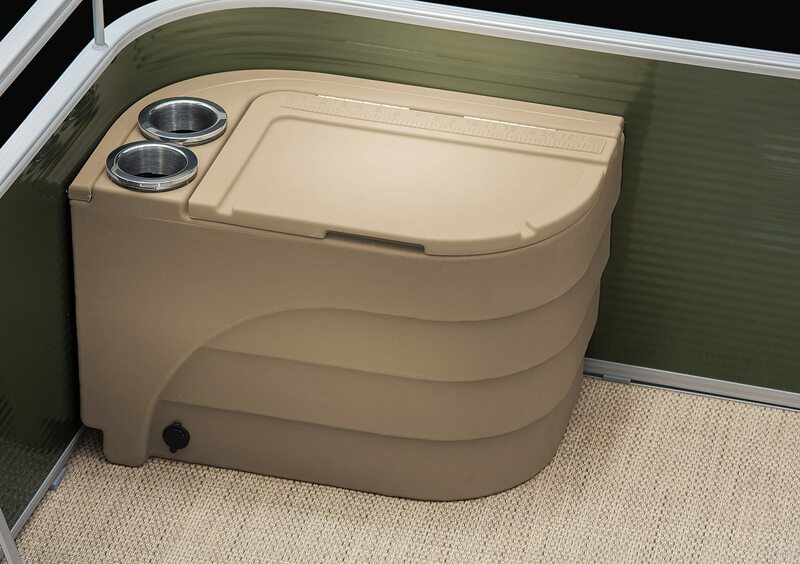 The L-shaped bench offers plenty of storage for all your gear. 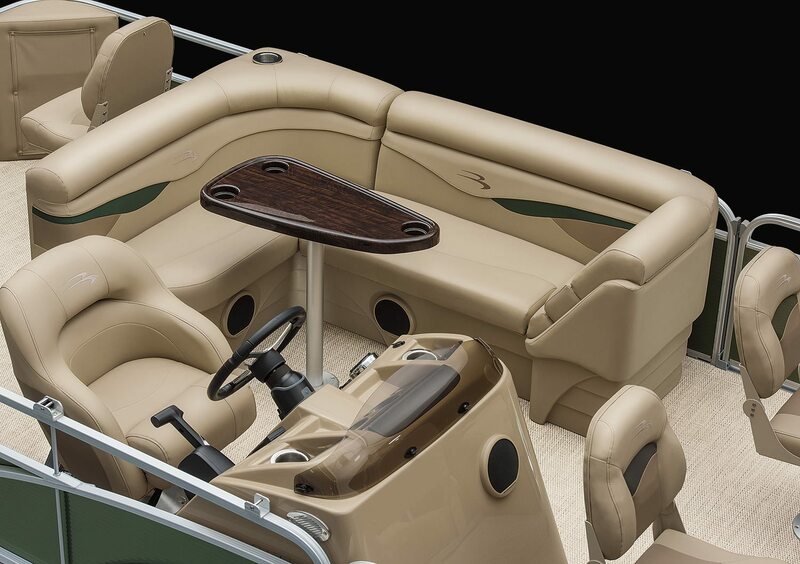 Stowable table shown in Espresso Teak, with our new Zebrawood Slate and Zebrawood Beige accent trims also available. 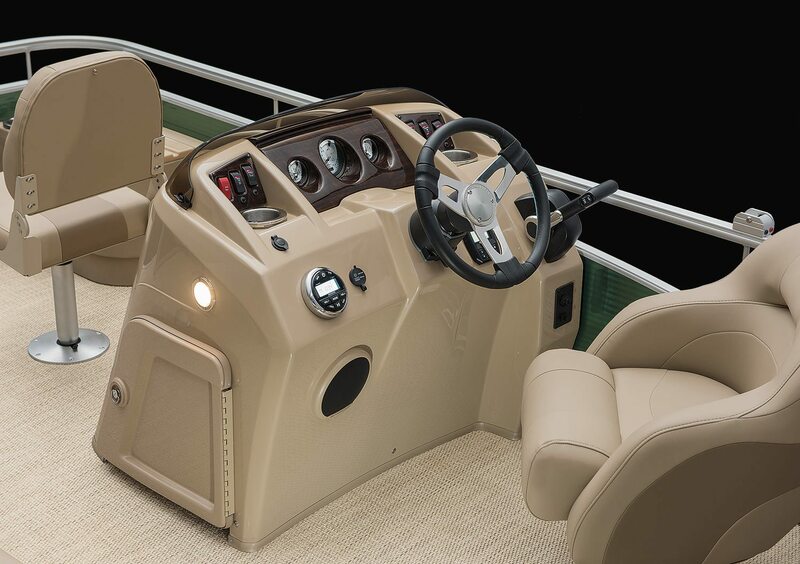 Fiberglass helm with storage compartment comes standard with 12-volt outlet, auxiliary input jack, and USB charging ports. 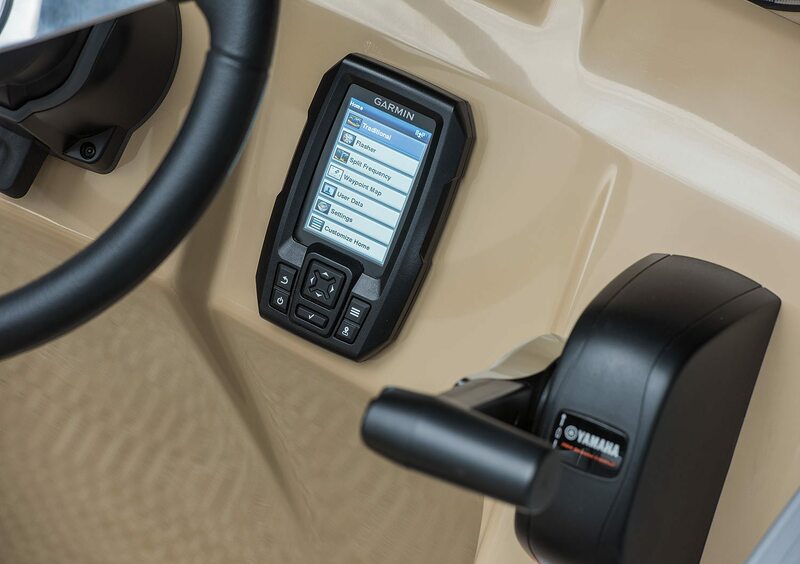 Shown with the optional deluxe steering wheel. 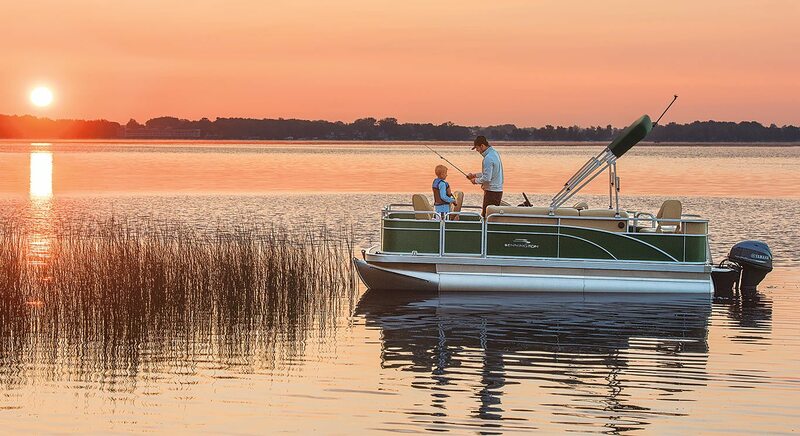 The SF3 has three corner storage boxes complete with cup holders and integrated fish-rulers, two in the bow and one in the aft. 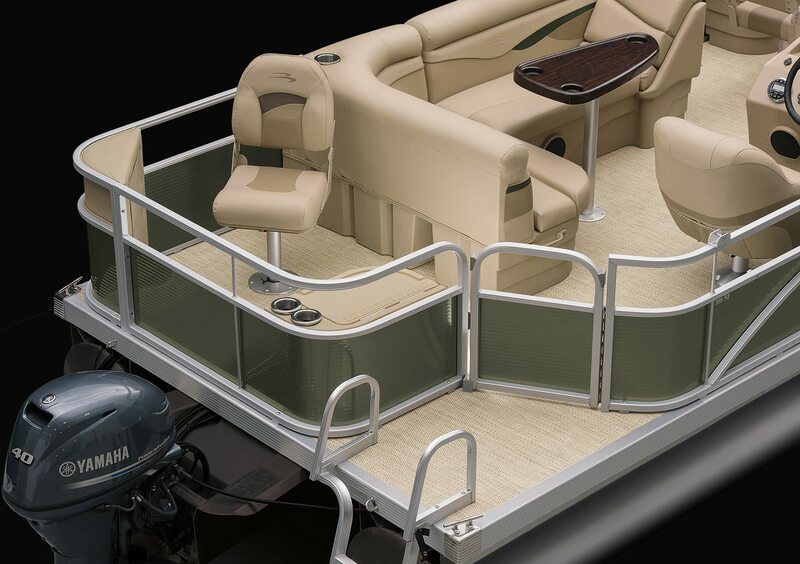 Shown with the optional bow placed 12-volt outlet and trolling motor gate. 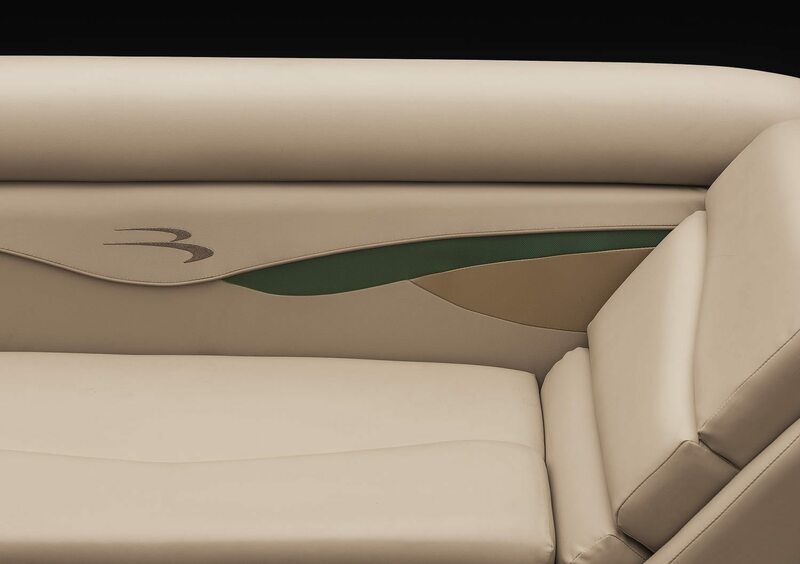 The standard monotone furniture is upholstered in Affluence Napa Beige with Emerald Diamante Accents. 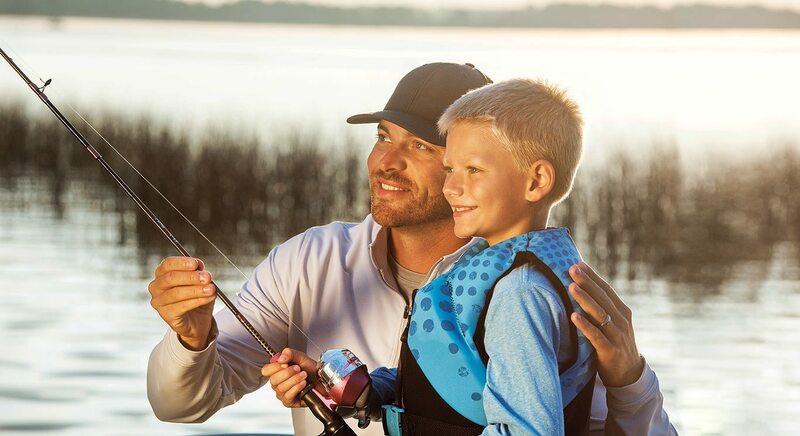 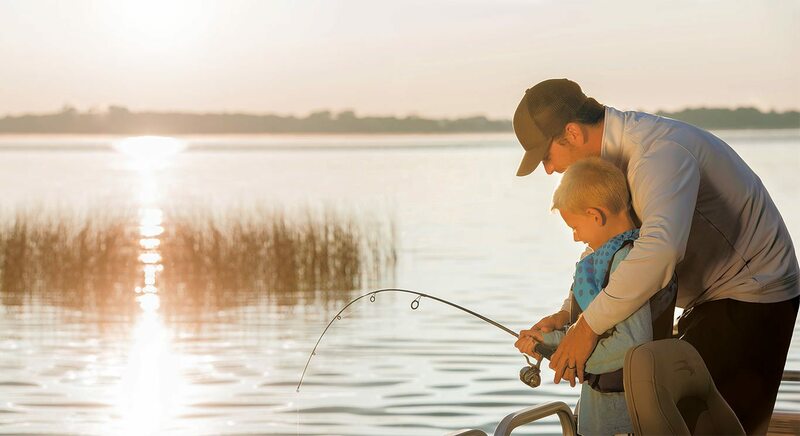 Optional Garmin fish/depth finder with GPS.